Every year for the past few years, we’ve invited over a few of our friends who like cycling to watch the final stage of the Tour de France. This year, folks showed up around 5:00 for snacks and drinks. 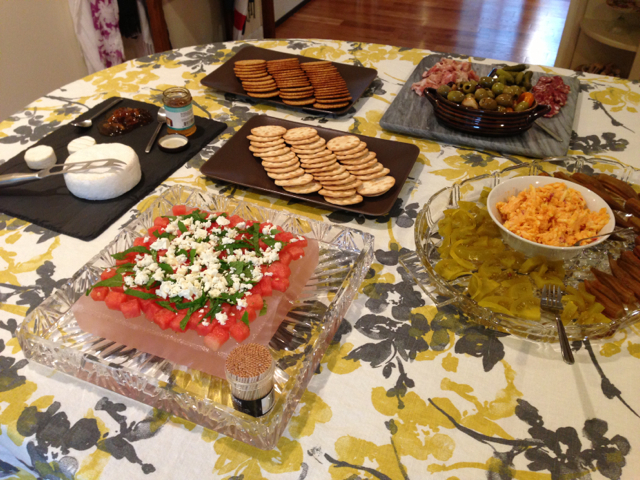 The spread included some of our favorite Sweet Grass Dairy cheeses and delicious accompaniments. Artie hard at work in the kitchen, doing what he does best. 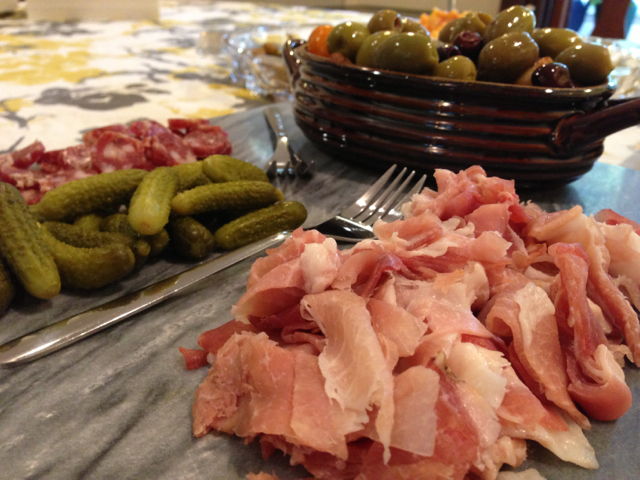 Olives with salami, baby dill pickles, and prosciutto. 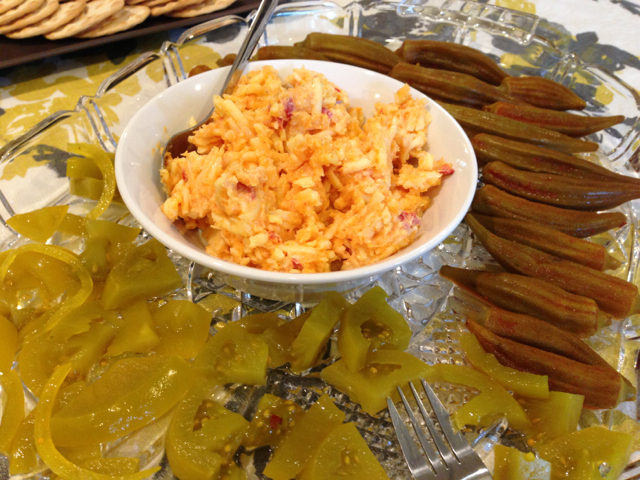 Pimento cheese (favorite!!!) with pickled green tomatoes and spicy pickled okra. 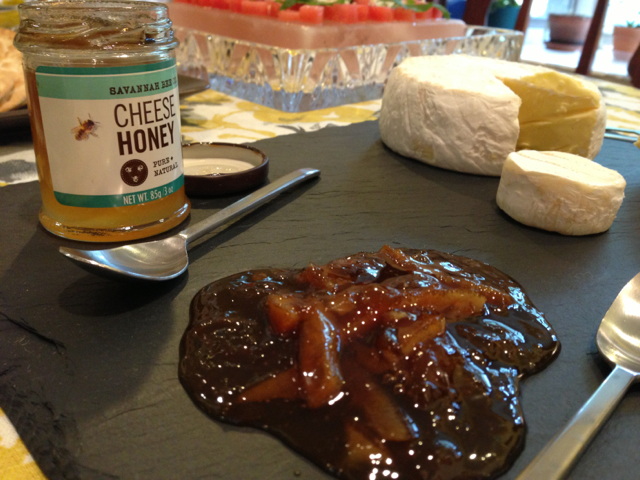 Brie cheese with honey and fig jam. 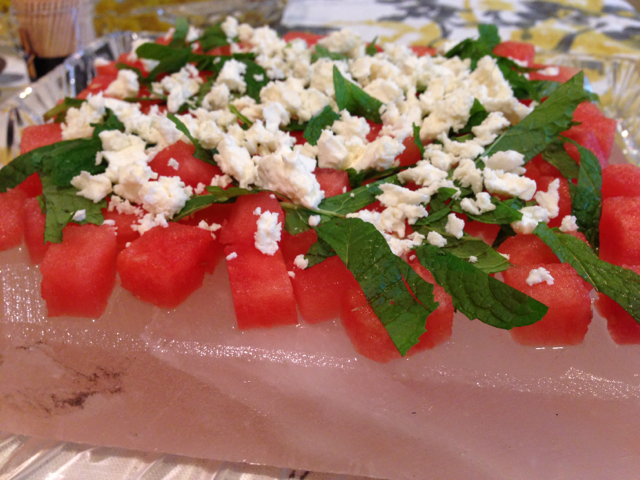 A salt block with watermelon, feta, and mint. 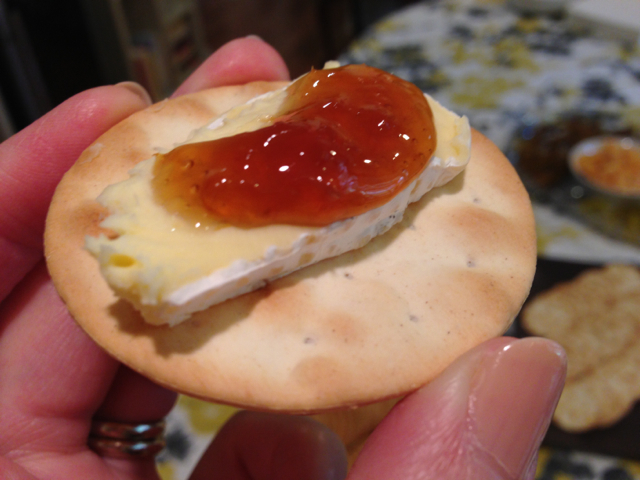 Perfect bite of brie with fig jam. There was also wine and beer (duh). Around 6:30, we had Decent Pizza delivered. We paired the pizza with a big salad that Artie had prepped in advance (romaine lettuce, baby peppers, cherry tomatoes. homemade croutons, and homemade dressing). 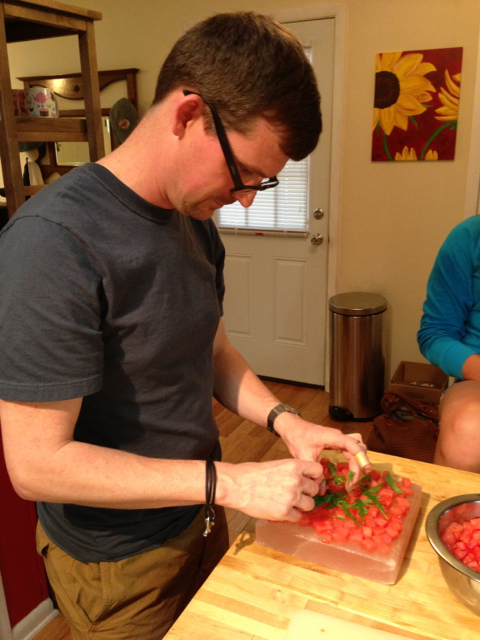 The plan was to spend our time/energy on appetizers and keep dinner simple. We probably had some desserts, too, but I guess I didn’t get a picture. If I had to guess, I’d say they were cupcakes 🙂 It was a perfectly simple and delicious menu – great for spending time with friends and watching more of Le Tour. I’m looking forward to next year and another Tour de France gathering with good food and good friends!